Right Car Hospital is conveniently located close to the city centre and next to all major routes in and out of the city, allowing easy access to the areas within the city and also the surrounding area. 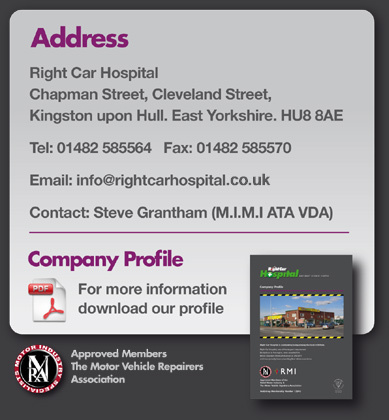 Right Car Hospital, Chapman Street, Cleveland Street, Hull, East Yorkshire. HU8 8AE. Telephone: 01482 585564 Copyright The Right Car (UK) Limited 2011, all rights reserved.